After losing the House in 2010, and now the Senate four years later, Democrats seem bereft of ideas about how to reconnect with the electorate. Democrats seem to have a grip on the White House and Hillary Clinton appears to be the odds on favorite going into 2016. Yet, with Republican policies blatantly favoring the rich, you have to wonder why so many middle class voters are casting votes for the GOP. Republicans now hold majorities in both chambers of the legislatures in 29 states—their most since 1920—compared to just 11 states for the Democrats. In 23 states, Republicans control both chambers of the state legislatures and the governorship, compared to just six Democratically-controlled states. Republicans are now governors in 31 states including the very blues states of Maryland and Massachusetts, and President Obama’s home state of Illinois. Republicans gained nine seats in the Senate in the 2014 midterms for a total of 54 seats, They picked up another 14 seats in the House to increase their majority to 247 to 188 over Democrats—their largest majority since 1928. Much of the Republicans hold on the House is due to gerrymandering. Only a strong appeal to the middle class can challenge their advantage. Questions remain whether this recent surge is truly a swing to Republicans or a warning to the Democratic Party that it needs to get its act together. A recent essay in the New York Times by Thomas Edsall raised the question of whether the Democratic Party has failed working class whites. Democratic support for affirmative action and comprehensive immigration reform turned off many working class white voters. Edsall argues that white working class voters see these policies as limiting their own prospects. Even though blacks had long been denied minimal opportunities because of Jim Crow laws and other state-sponsored constraints, whites viewed the gains of blacks as coming at their expense. For them, the economic pie is a zero-sum game. Having fought successfully for New Deal policies, civil rights for African Americans, equal rights for women and gays, Democrats have spent recent years defending their achievements against the backlash of a Republican Party that grew in numbers as conservatives—particularly those in the south—fled the Democratic Party. In recent years Democrats have largely been seen as defenders of the social safety net—social security, Medicaid and Medicare, food stamps, unemployment insurance—all programs erroneously perceived to be benefiting more blacks than whites. While a larger percentage of blacks rely on the social safety net, far more whites are the recipients of these benefits, many of them in red states. The Republican Party has branded itself as the party of low taxes and small government while enacting supply-side tax cuts that disproportionately benefits the wealth, policies that have only worsened income and wealth inequality. Economists differ on whether inequality slows economic growth. However, the preponderance of economic gains has gone to the wealthiest Americans while wages continue to stagnate, leaving the middle class with diminishing purchasing power. Democrats have offered few ideas for improving economic outcomes for middle class families outside of raising the federal minimum wage. They offer no broad vision of policies that would tilt more economic gains from the very top to the middle and the bottom quintiles. Americans want a social safety net, but only as a last resort. Nobody wants to depend upon it for their existence. Though not by design, President Barack Obama’s presidency was the best thing that could have happened for the nation’s most wealthy. Republicans are able to place the blame on his administration for the economic malaise of the middle class while blocking his policies in the House and Senate. When the President or other Democrats try to remind Americans that the policies responsible for the nation’s economic woes preceded his time in office, he is chided as trying to avoid taking responsibility while blaming his predecessor. That Republicans were able to raise campaign contribution limits and weaken provisions in the Dodd-Frank bill during this last budget negotiation demonstrates how much they believe that they have the upper hand in the public relations war. Future elections like most elections will be about what have you done for me lately and what will you do for me going forward. It is not just about getting people to the polls. The 2014 election should have taught Democrats that they must give voters a reason to vote for them. It is not just about keeping Republicans out of office, it is about electing Democrats with ideas and policies that will restore hope in the American dream for many who believe it’s nothing more than a myth. 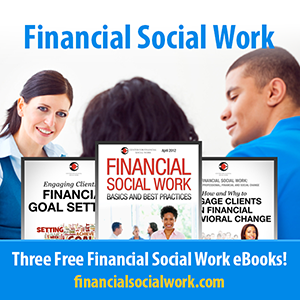 The post Democrats Are In a Policy Funk appeared first on Congressional Research Institute for Social Work and Policy. 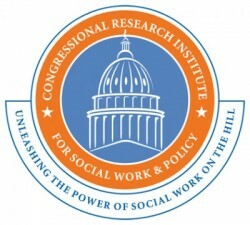 Democrats Are In a Policy Funk was originally published @ Congressional Research Institute for Social Work and Policy » Charles Lewis and has been syndicated with permission.